This brand new two bedroom ground floor apartment has its own private patio area, accessed from both the living room and the bedroom, situated in one of Purley's premier locations. The accommodation comprises kitchen/living room with bespoke hand build designed kitchen with quartz work surface and includes integrated siemens applicances, luxury bathroom, two bedroom with the master benefiting from ensuite shower room and dressing area. Greenwood Court is a stunning brand new development of nine Luxury two and three bedroom apartments. This is a unique opportunity to reserve your new home off plan with completion scheduled for Summer 2019. These apartments benefit from beautifully designed bespoke hand built kitchens with quartz work surfaces, top branded appliances and stunning luxury and contemporary bathroom suites with elegant and stylish sanitary ware and fittings. Other benefits include off street parking and most apartments have access to private outside space either to a balcony or terrace. There are landscaped communal grounds and garden, video entry system and under floor heating throughout. 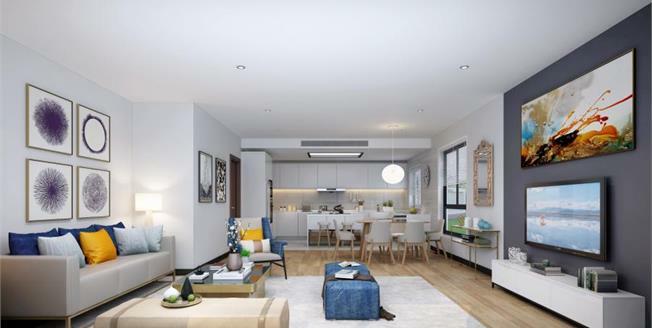 Whether you are downsizing or a first time buyer looking to take advantage of the help to buy scheme, Foxley lane provides the perfect place for modern and contemporary living. All properties come with a 10 year warranty.